There's a lot to love about Hiyao Miyazaki's films: bizarre creatures and settings, heart-pounding action, quiet moments of contemplation, and a loving attention to detail. But there's one thing above all that stands out about his storytelling, and one thing that makes me want to emulate him: Empathy. Miyazaki can't resist the urge to take a villain and show us how they see the world and why they do what they do. He's so good at doing this that you don't just understand the "bad guys" but you like them too. At the core of this is a faith Miyazaki shows in human nature and a compassion for the suffering and joys that all humans share. Probably the two best examples of this are Princess Mononoke and Nausicaa of the Valley of the Wind, Vol. 1 (the graphic novel), which are essentially the same story with subtely different characters and conclusions. Both stories are told from the perspective of a character who embodies Miyazaki's own empathy. Ashitaka and Nausicaa are compassionate, courageous and open-minded. I'd almost say they were objective, if they weren't so compelled to engage in the dramas they observe. 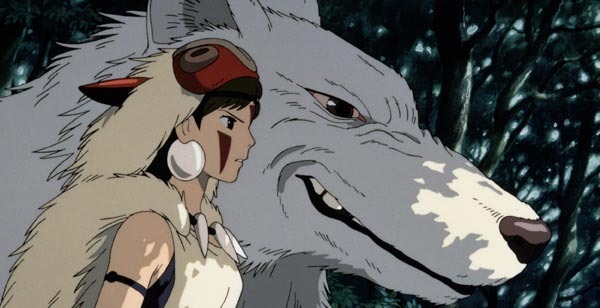 With Ashitaka, his role is outlined a bit more clearly as he's given the charge to "see with eyes unclouded", but Nausicaa, in her unqualified compassion of all living things, ends up with essentially the same perspective. Both narratives involve warring factions who disturb a transcendent power in their quest for dominance. He has the practically interchangeable characters of Princess Kushana and Lady Eboshi that could easily be cast as villains -- strong willed, ambitious and truculent women battling for dominance in a world of cruel and idiotic men. But Miyazaki gives us ample reason to admire and care about both of them. They both are unfailingly dutiful and loving leaders who engender equally unfailing loyalty from those they lead. They are both shown to be compassionate. Lady Eboshi takes special care of the lepers, and Princess Kushana risks her own life in trying to save the lives of her soldiers and to rally them to victory. Miyazaki also gives us the Forest Gods and the Insects, particularly the Wolf God Moro and the Ohmu, respectively. Their fight for survival is in opposition to the progress of humanity. This is particularly evident in the direct conflict between Eboshi and Moro, who each have the death of the other as their top priority. 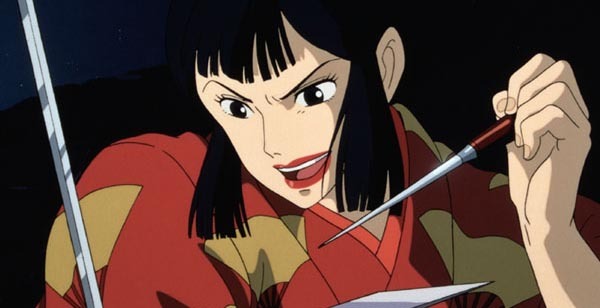 But as with Lady Eboshi, Miyazaki takes the time to teach us to care about and love Moro too. Moro is vulnerable, she's fighting a hopeless war against the humans, and she's sentenced to die from the outset of the story. At the same time we admire her for her courage, nobility, strength and reverance for the things she holds sacred. This is where Miyazaki's greatest triumph becomes evident. Not just that he can make us care about and even like characters, but that he can create such a riveting conflict between them. This is why the role of Ashitaka and Nausicaa are so important. We see everything from their point of view. To them, there are no good guys or bad guys, just painful conflict. Their struggle is the sacrifice to show the warring parties how destructive their respective paths are. 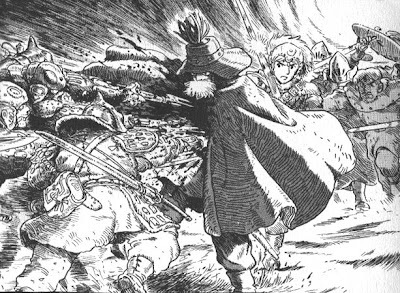 The most beautiful moment of this sacrifice is optimized in Master Yupa's death in Nausicaa. After seeing the example of Nausicaa's equanimity, Yupa finally understands what has to be done to stop the conflict between the Doroks and the Torumekians. At a a crucial point where two camps are preparing to slaughter one another he throws himself on the bayonets of an attacking group of Dorok soldiers. His sacrifice shows the only real solution can't be found in destroying the enemy, but only in destroying yourself. But it's not self destruction in a nihilistic or hopeless way, but in a recognition of the inherent goodness in humans; that the sacrifice of a life for the purpose of compassion will touch even the most deeply scarred and suffering people. This is why Miyazaki is perhaps the greatest living storyteller, because he's giving the message that has always been the most important: there are no enemies, only suffering. Especially in a time where the complete destruction of humanity is a reality, the need for narratives of compassion are crucial to our survival. But even our simple day to day existence is hobbled if we can't see past the petty conflicts that lead us to greater and greater misery and hopelessness. And this is only one of the things that makes Miyazaki's films so important. I could write another post entirely about Miyazaki's ability to patiently spend time with beauty; My Neighbor Totoro contains a whole universe of brilliance unto itself. But the main point is if you're DVD collection isn't already choked with Miyazaki films, repent and go forth to Amazon and do likewise. And if there's no room left to squeeze My Neighbor Totoro between Armeggedon and Austin Powers -- the choice should be easy.